A reasonable concern regarding filing for bankruptcy is how it will affect your credit score. If this is a determining factor, consider what your credit score could look like when you are not able to make past due payments and interest continues to accrue. To get the most information about filing for bankruptcy, consult with a bankruptcy lawyer in Fairfax County to learn the most about your options, and read through our blog to learn how it can affect your credit score. While the debt that has been adding up has already had an impact on your credit score, your credit score will also be affected differently depending on which chapter you file under. 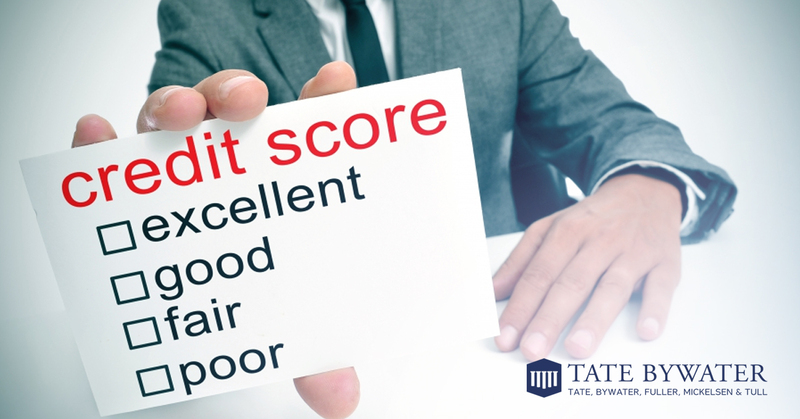 With both chapters, your credit score could drop between 160 to 220 points, which could be detrimental if you already have fair to poor credit. On your credit report, the bankruptcy and the debt are displayed differently. A chapter 13 bankruptcy will remain on your credit report for up to seven years. The debt that has been discharged will also remain on your credit report for up to seven years after it has been discharged. Since Chapter 13 bankruptcy is a repayment plan, debts that have been discharged could remain on your credit score longer than the bankruptcy. A liquidation bankruptcy will stay on your credit report for up to 10 years. Typically, debts relating to a Chapter 7 bankruptcy are discharged a few months after filing, so the bankruptcy itself will stay on your credit report longer than the debts. The older the negative items on your report become, the less of an impact they have, which is all the more reason to file bankruptcy sooner rather than letting the debt sit and interest grow. As time goes on, as the bankruptcy and debts fall off of your report, you can begin to reestablish your credit. This may be challenging if the accounts are not older than 10 years, ultimately requiring you to start over. Research credit card offers, and apply for credit as soon as possible after debts have been discharged. If possible, keep older accounts active, which will allow lenders to see that you have credit history. Overall, filing bankruptcy is challenging and can take time to recover fully from, but filing for bankruptcy and beginning to apply for credit as soon as possible will give you the opportunity to recover the quickest. As you go through the process of filing for bankruptcy, consult with a bankruptcy lawyer at TATE BYWATER Law in Fairfax County. A lawyer who is familiar with the laws will best be able to advise you on your specific situation.